Dancing Horse Stables is our little "slice of heaven"
We have a passion for dressage, good horsemanship and happy ponies! We have created a fun, low-pressure, paradise for horse and rider. 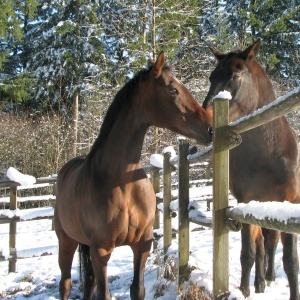 We can cater to your horses needs and make owning a horse relatively worry free. We strive to keep our education up-to-date in dressage, equine biomechanics, the latest medical advances and nutritional support. 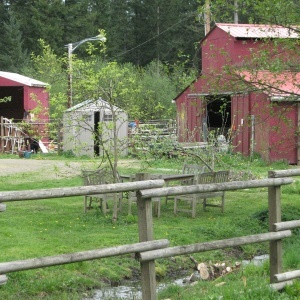 Read more about Dancing Horse Stables is our little "slice of heaven"
Do you want a happy horse? - Are you looking for personalized care and peace of mind? - Are you looking for a fun place to train and advance your skills and your horse’s training? I am a certified dressage instructor (Positive Riding), USDF Bronze medalist, and L judge with 30 years of knowledge and training. I have a rare opening at my private facility in Duvall. I specialize in teaching you to ride your own horse in a fun positive environment. Steffen Peters : Discipline is the bridge between dreams and success.